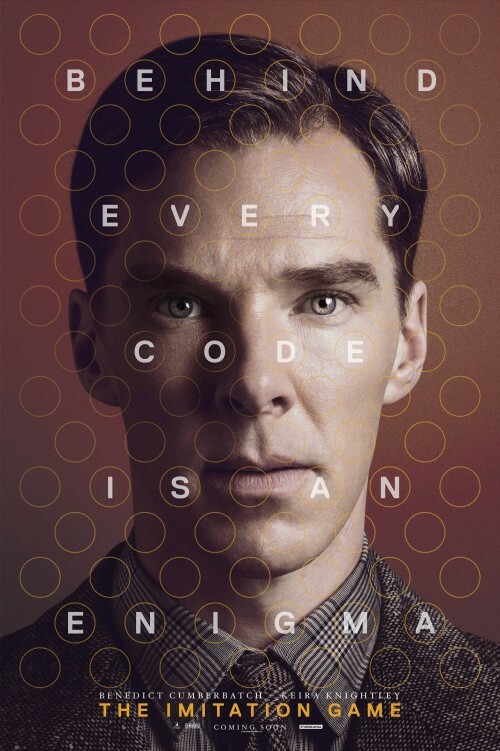 The first character poster for The Imitation Game, the upcoming Alan Turing biopic. It’s Benedict Cumberbatch as Alan gets the honour of the first one that’s released. It’s a simple poster but it can open up on a couple of levels to show what his genius produced. The levels that it opens up are a few. The main one is the reason for the circles. They seem to be there to how what he was working on at Bletchley Park, the Bombe code-breaking machine. The way that they have used the poster’s tag line, Behind every code is an enigma, could indicate the lampboard of the machine that they are trying to break. The Enigma machine itself. Cracking UK cinemas November 14, 2014.